1) Mayor's Student Award application is due this Friday, September 30th. 2) Visa service this week, October 2, 10 am - 2 pm. 3) Taiji Fan practice (for parents) already started. Location:parking lot 2 (facing H building), under the carport. (LIBRARY BUILDING). Two session: 9:45-11:45, 1:45-3:45. Registration needed. See flyer for details. 5) How are we PARENTING? Do we really understand what is the best for our children? 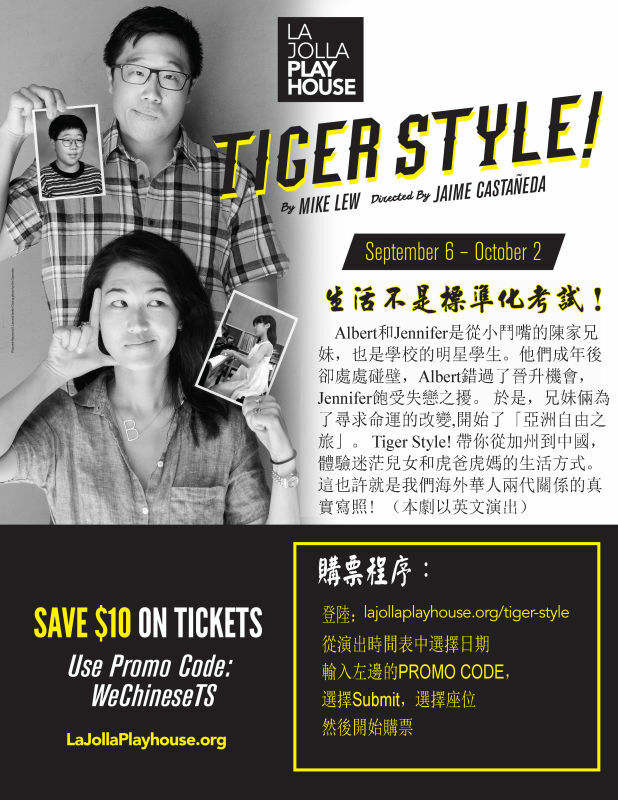 Highly recommend all parents to enjoy a comedy TIGER STYLE at La Jolla Playhouse. The play writer Mike Lew, a former La Jolla High student and a Howard graduate, wants to tell the audience the reality. 6) DRAGON TEAM 舞龙队 and DRUM TEAM 腰鼓队 are recruiting! It's fun and unique. Come and join us! Thanks to the parents who already signed-up. For parents, it can be counted toward your service. For high school students, it can be counted toward your community service. I shall see you all on Sunday!